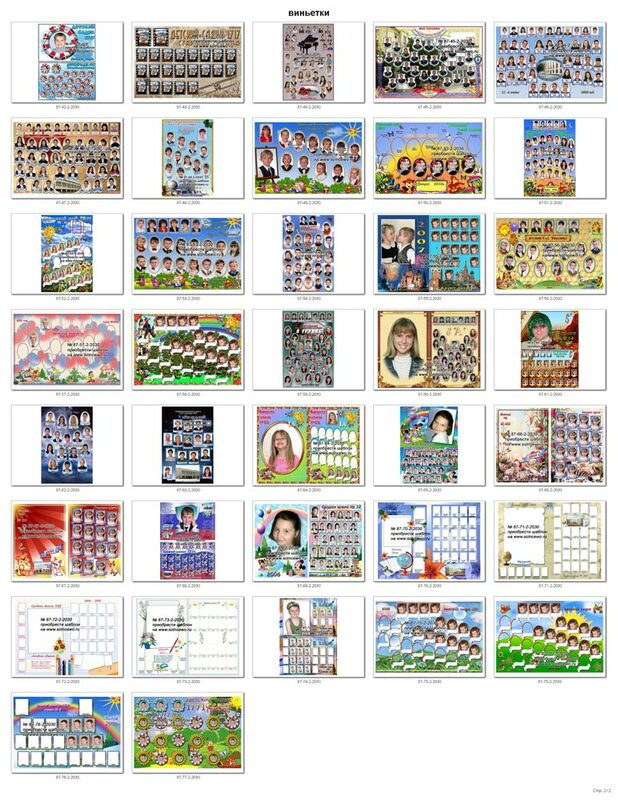 Set of templates for Photoshop for school pictures. 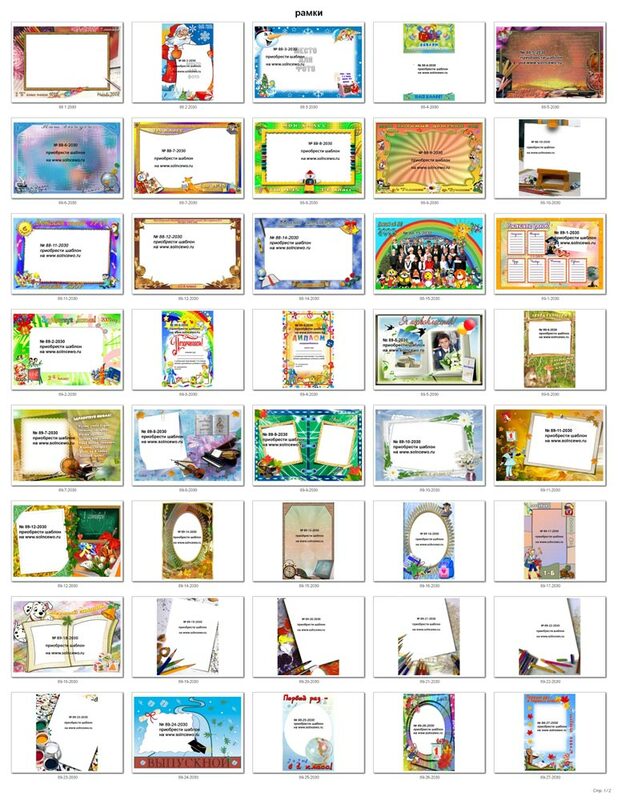 In a set of 155 templates total volume of 4.7 GB in compressed form. 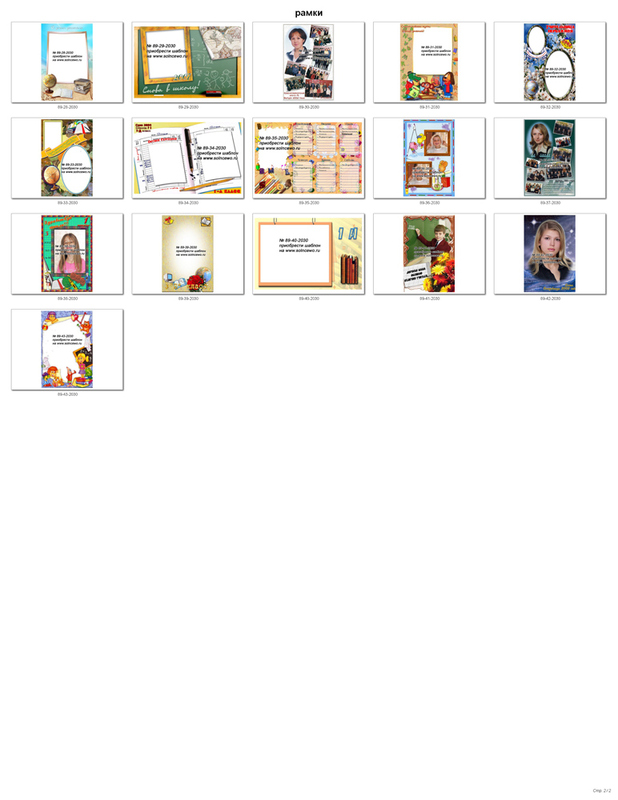 This vignette for school and kindergarten, the overall framework for the photos and frames for portraits. All templates have the following parameters - 20 cm x 30 cm, 300 dpi, some vignettes consist of two sheets of format 20 cm x 30 cm, 300 dpi. 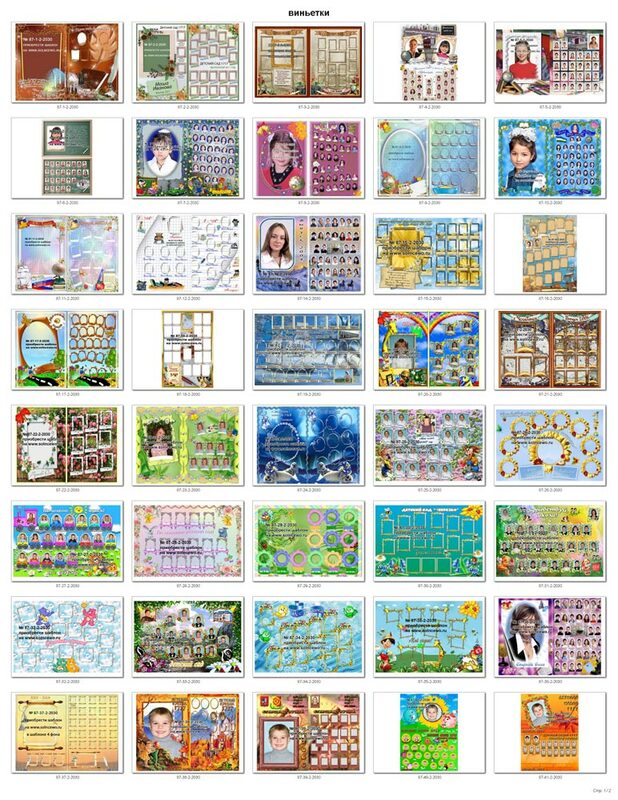 All the patterns presented in the PSD and each element is located on a separate layer that allows full editing patterns such as changing the size and number of frames to accommodate children portraits, changing signatures and inscriptions (content, size, font), etc. To reduce the volume of template group in compressed archives RAR. Attention! After payment you will receive a link to download the archive with the templates and the password for the archive. Archive templates located on the service. Yandex.Disk In case of problems write to me on this page and I will decide your problem within 2-8 days.